Sometimes, one stumbles into a rare gem of a manga title. Such is the case with Nicola’s Leisurely Demon World Travelogue, or Nicola Traveling Around the Demon’s World as it will be known by Seven Seas. 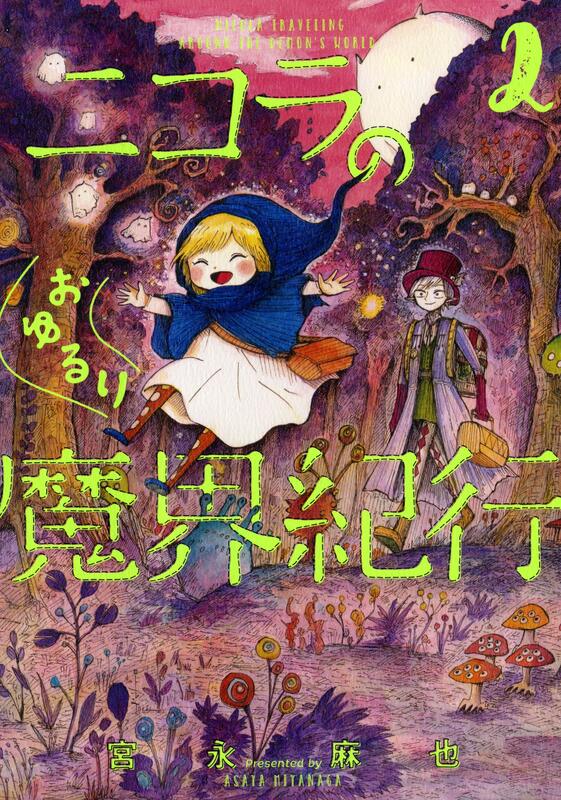 And it is a title I’d really love to see licensed in English. The story of Nicola Traveling Around the Demon’s World starts with the young, human girl named Nicola. She has somehow become trapped in the Demon World. Although she is a witch, the only spell she knows is producing a flower that will disappear after a period of time. Her grandmother wouldn’t teach her magic because it was forbidden, but Nicola accidentally discovered she had the power to produce flowers. On the Demon World, Nicola is saved by the human-looking demon named Simon. He’s a somewhat shady traveling salesman. For whatever reasons, Simon allows Nicola to travel with him, even though humans are officially banned from the Demon World. Through their travels, Nicola is able to have many adventures. As such, she is able meet and charm different folks from the different demon tribes. Often, Nicola’s actions inadvertently cause Simon to land sales or otherwise have good luck that he would not have had on his own. But, exactly who is Nicola and just how powerful is she? When I first looked at an image from Nicola Traveling Around the Demon’s World, I have to say that there was just something about it that captured my attention. For starters, Miyanaga-sensei doesn’t use traditional manga art styles. Outside of Nicola, there aren’t a lot of characters with big eyes. That alone makes the manga feel as though it isn’t Japanese. Secondly, there’s a surreal but earnest feel to the artwork. Backgrounds and the like feel like hand sketches of someone who loves to draw, but might not initially seem like the art style of someone doing a professional manga. In fact, the art style feels more Western. I saw someone comment that they felt the artwork was French styled. I can’t speak to that, but it certainly isn’t typical Japanese manga artwork. That aside, this style of art works quite well. The somewhat surreal side to the art helps convey the sense that they are in the Demon World. And there is no doubt a charm to how Nicola is drawn. As such, this makes the manga easy to get sucked into. Through the seven chapters of Nicola Traveling Around the Demon’s World that I read, we know very little about our young Nicola. We don’t know how she came to be in the Demon World. The character introduction page of volume 2 states that Nicola is not only a witch, which we knew, but also has some demon blood in her. Nicola may only be a young human female, who sometimes acts like the kid she is, but she’s also fiercely determined. Thus she’s able to adapt to being in what would otherwise be a fairly inhospitable environment. I think what I like most about Nicola is that on top of being strong willed, she’s very charming. Outside of the law enforcement monsters they encountered in the first chapter, Nicola has been able to charm all who interact with her. As I mentioned earlier, Nicola’s dealings with the various denizens of the Demon World have often proved profitable for Simon. And what’s cute is that she doesn’t realize the positive affect she’s having. There are countless manga titles where some character messes up and inadvertently causes problems for everyone else. As such, it is refreshing to see a character just being a decent human being ‘causing positivity all around them and be oblivious to it. One thing that seems to come up in every chapter of Nicola Traveling Around the Demon’s World is that she may be quite powerful without knowing it. Her grandma wouldn’t teach her magecraft, but it did not appear as if she gave Nicola a reason why. Nicola assumed it was because magic was forbidden and thus knowing magic would be dangerous. Yet somehow, Nicola managed to accidentally create flowers via her magic, and it is the only “spell” she can consciously perform. Unconsciously, we’ve seen Nicola perform several amazing feats. When she was playing with Lord Earl Prime’s daughter, she attempted to cast a light spell Rosetta had been practicing. Nicola could not actively cast the spell. However, when she closed her eyes to envision light as prep to cast said spell, her whole body glowed. And later while asleep, she glowed so brightly, Simon couldn’t sleep. In another chapter, Nicola makes medicine to heal a tiny, monster fairy. Naturally, it befriends her. But when it goes to join its migrating flock, it is so tiny that they don’t see it. So she issues a shout to stop them that is so loud, it actually blasts leaves off of trees and causes Simon pain, even though he was well behind her. And in one final incident, Nicola is accidentally put into a mage battle tournament to fight a demon boy her age. Even though he is quite a good mage, he is unable to hit her with any of his offensive spells due to her incredible speed. I hope the manga continues to explore this element of Nicola. There’s not much more to say about Nicola Traveling Around the Demon’s World, since the series is only two volumes in length. 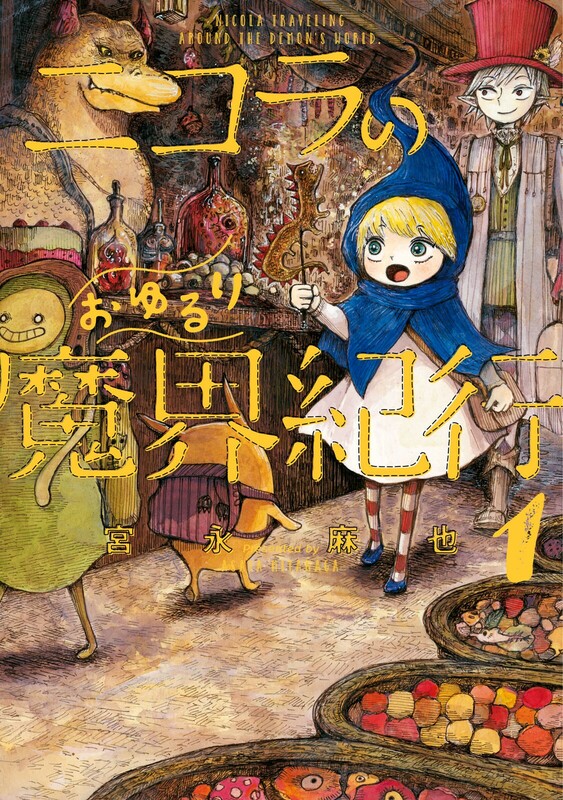 It is published by Kodakawa in Japan, so maybe I can put a bug into the ears of the editors of Seven Seas to possibly license this delightful series. 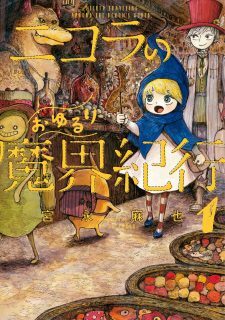 Update: Seven Seas had already licensed the title back on January 11! 😅 As such, I’ve made corrections to this piece to reflect Seven Seas official English name for the series. And you can bet this is on my “must buy list”! It’s already licensed by Seven Seas. Oh, sweet! I didn’t realize that. Awesome! Thanks for the news.